Because of the great support for my radioshow Tic Tac Trance I decided to give away a new and FREE CD Mix. 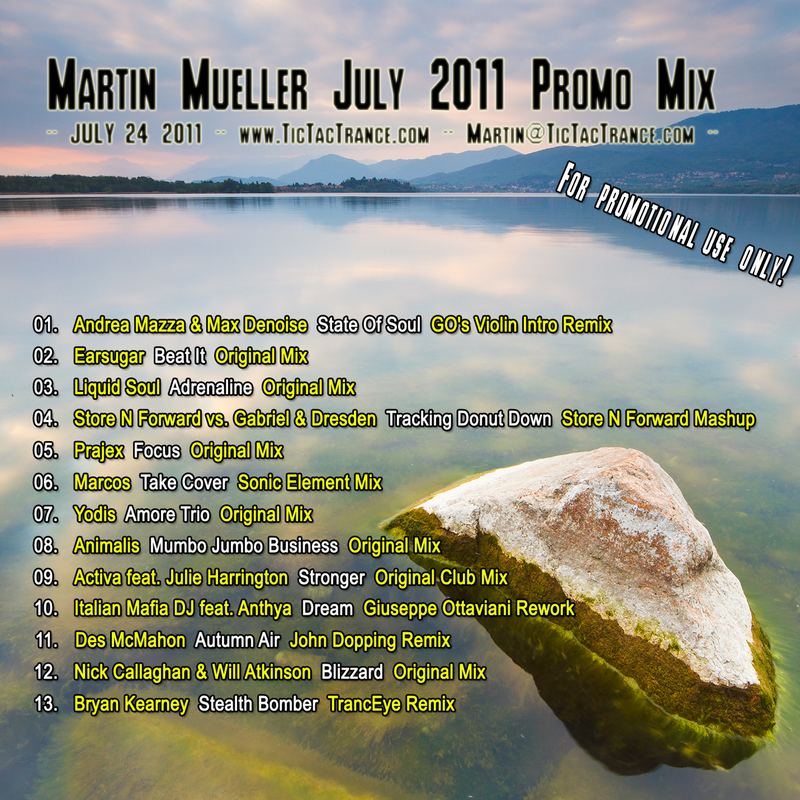 It features 13 of my current favorite tunes of Uplifting, Techy and Psy Trance. The download includes the tracklist/cover, CUE and the 320 MP3 high quality in-key CD Mix. Enjoy! Tic Tac Trance #043 Replay available! 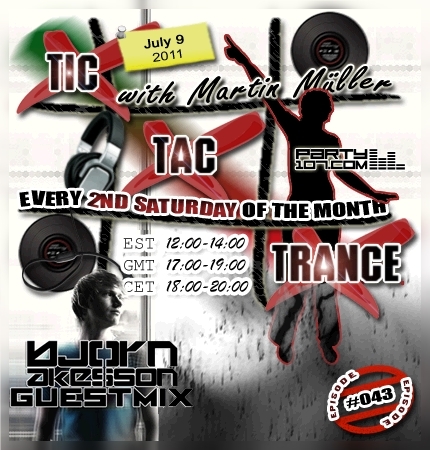 On July 9, 2011 episode #043 of Tic Tac Trance will air on Party107.com! It’s a pleasure to announce Björn Åkesson as my guest for the second half of the show! He will provide a bangin, techy but of course also uplifting exclusive guestmix! In the first hour I will present you much Trance 1.0 material, with remixes and tunes provided by artists like Aly & Fila, Eco, Breakfast, Gabriel & Dresden and many, many more!